The easiest. The biggest. 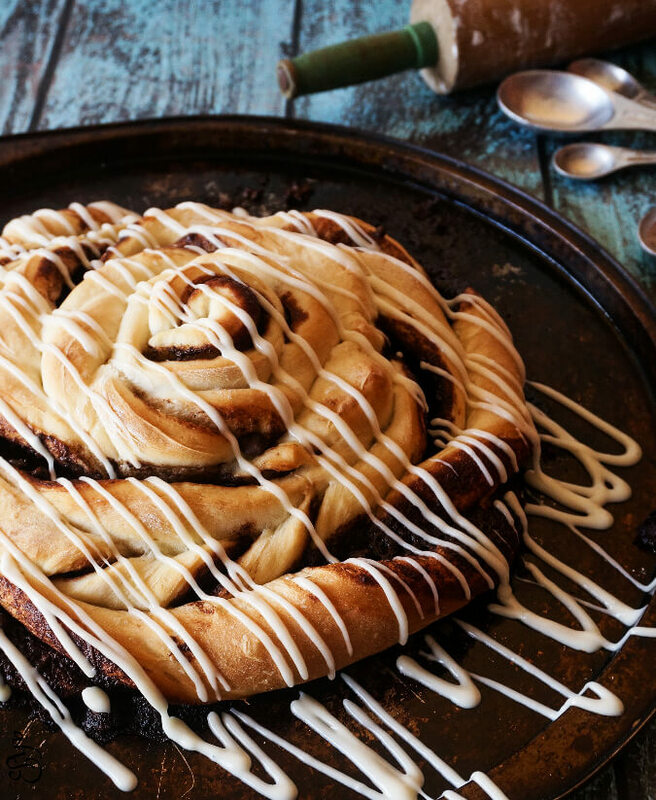 The most delicious and giant chocolate cinnamon roll you’ve ever had. Loaded with melty chocolate, cinnamon and sugar and topped with cream cheese icing. 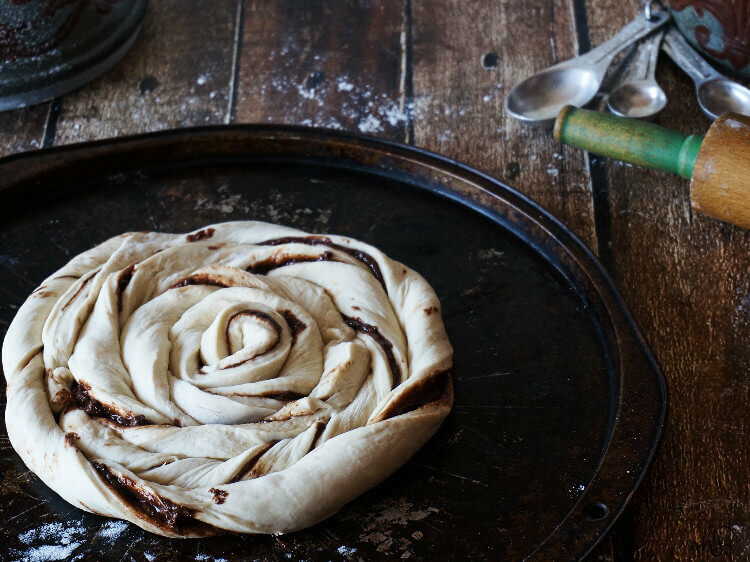 This cinnamon roll is unlike any you’ve ever made before. That is, unless you regularly make cinnamon rolls bigger than your head, and if you do regularly make cinnamon rolls bigger than your head, email me! I want to be your new best friend. These super easy cinnamon rolls have become a favorite in my house that I like to make for an after-school snack. 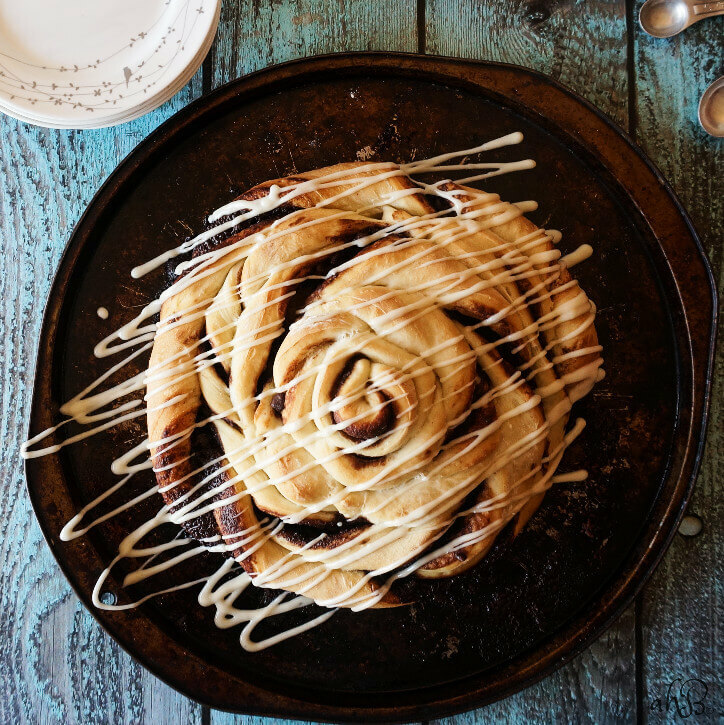 Anyone can make these cinnamon rolls, even people who aren’t very experienced with yeast doughs. These start off with frozen bread dough, which is quick, super convenient, and easy to work with. The chocolate cinnamon filling is rich and dark with melted butter, unsweetened cocoa, brown sugar, cinnamon, and chocolate chips. Let me tell ya, basically you roll out the dough, and spread on the filling, cut the dough into long strips, coil the strips into the rolls, bake them, and then smother them with cream cheese icing. Simple. If you are baking a yeast risen dough in cold weather and having problems getting your dough to rise, simply boil some water in a small saucepan and place the pan of boiling water in the oven on the bottom rack, with the dough on the top rack in the oven. The steam off the water will create the perfect warm, draft free environment for your dough to raise. Although the recipe only makes 2 rolls, each roll will serve 4-6 people. Which makes it a great bake one, take one kind of thing. Trust me, if you take a plate of these to share with your co-workers, you will be their favorite. The biggest and easiest chocolate cinnamon rolls topped with cream cheese icing. In a small bowl, combine the melted butter, cocoa, sugar, vanilla, cinnamon and chocolate chips. Set aside. On a lightly floured surface, roll each loaf of dough into a 12 inch by 8 inch rectangle. Spread half of the cocoa mixture on each dough rectangle. Fold each rectangle in half, so that it's now 4 inch by 12 inch. Using a pizza cutter, cut each rectangle into 3 long strips. Coil one strip in the center of greased or parchment paper lined pizza pan. Add two more strips to the coil, pinching the ends of the dough together as you add a new strip. Repeat with the remaining strips on a second pizza pan. Cover the dough, and let it rise in a warm place until it is puffy and almost doubled, around 45 minutes. Bake at 350 degrees for 20- 25 minutes or until the cinnamon rolls are golden brown. In a small bowl, combine confectioner's sugar, milk, vanilla and cream cheese until smooth and lump free. Drizzle over the warm rolls. Just saw these on My Foodies and have to say that not only do they look so yummy, but your pictures are stunning!!! Thank you so much! 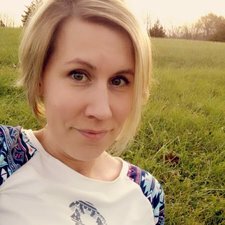 I have really been working to improve my photography, so that is a wonderful compliment to hear. 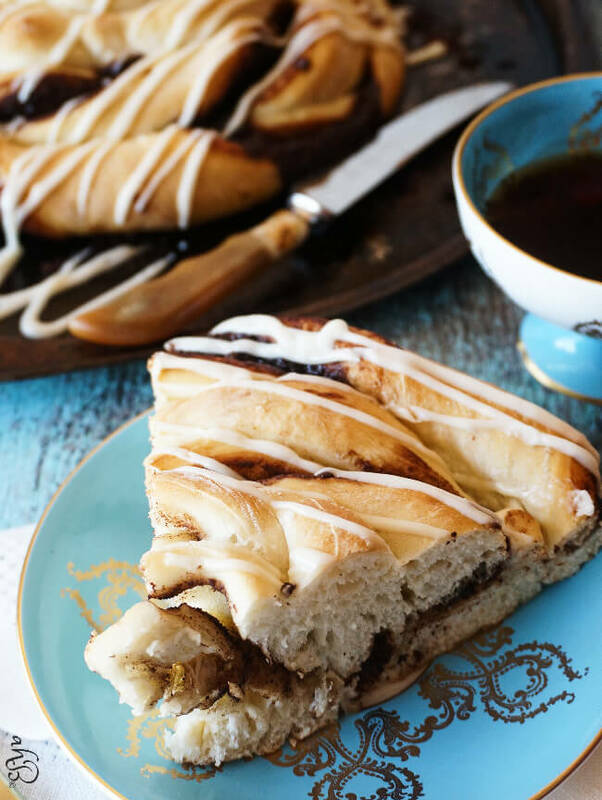 I’m so glad I came across your recipe and absolutely love the idea of a Giant Chocolate Cinnamon Roll 🙂 looks absolutely Delish! I can almost smell that cinnamon roll it looks so good. 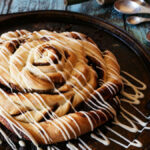 Omg I need some giant chocolate cinnamon rolls in my life!! This looks so good!!! Positively drooling here right now, these have my name written all over them! I like that the rolls is bigger than my head!!! My husband would go nuts for this. He loves cinnamon rolls to death. The chocolate, not so much.. But I love the chocolate!!! Well Kathie, you’d have had a fight over these over who got to be taste-tester. My kids love these rolls and devour them pretty quick!